How Does It Work? In tests, sulforaphane has been shown to stimulate the production of cell-protecting antioxidant enzymes known collectively as the Nrf2 system. These enzymes help neutralise free- radical activity within the cells, boosting the skin's own ability to protect itself against a host of beauty-damaging activities, from smoking to sunbathing. 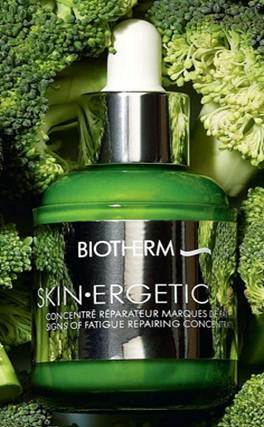 Find It In… Biotherm Skin.Ergetic, $55 (biotherm.co.uk). A powerful 99% natural formula that protects and wakes up your skin. What Does It Do? These tiny seeds, harvested from a desert plant native to Central America, were a main component of the Mayan and Aztec diet. Similar to flaxseeds, they lock moisture into the skin due to their high levels of omega 3 and 6 fatty acids. How Does It Work? Omega fatty acids have a protective and soothing; action on the skin, thanks to their high levels of anti-inflammatory compounds. These work by keeping the cell membranes healthy and flexible, which in turn means your skin cells can function better and retain vital moisture, keeping your complexion hydrated and plumped. 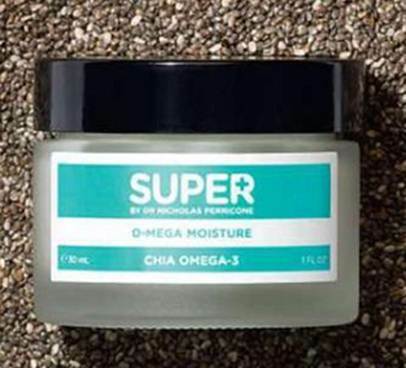 Find It In… Super By Dr NichoJas Perricone O-Mega Moisture, £47 (perriconemd.co.uk). This intensive moisturiser helps instantly hydrate parched skin, so is Ideal for the harsh winter months. What Does It Do? Acai berries (from Central and South America) have up to twice as many antioxidant anthocyanins as blueberries, meaning they're super-effective at helping to put the skin-ageing process on a go-slow. How Does It Work? As well as being rich in antioxidants, acai berries contain high levels of omega 3 and 6 fats which reduce skin inflammation; monounsaturated oleic acid, which helps skin absorb oil; up to 19 different amino acids, which are essential for quick and healthy cell turnover: and high levels of vitamin A and C, both key ingredients in many traditional anti-wrinkle creams. Find It In… Jergens Daily Moisturising Body Moisturiser, $7.95 (jergens.co.uk). This quickly absorbed lotion, made with 97% natural ingredients, combats free radicals and provides long-lasting moisture so skin stays supple. What Does It Do? Turmeric, more commonly found in Asian cooking than on the beauty counter, has long been used in ayurvedic medicine for its anti-inflammatory properties and to even out skin tone. How Does It Work? Curcumin, a major compound of turmeric, minimises the free-radical activity that causes inflammation in the skin and helps to control liquid peroxidation, part of the skin- damaging free-radical chain reaction. Find It In… Yllume Ultimate Illuminating Complex Cream, $183 (yllume.co.uk). This nourishing natural blend boosts the skin's own regenerative powers and is particularly good for damaged skin.